The ICC is a building with history. 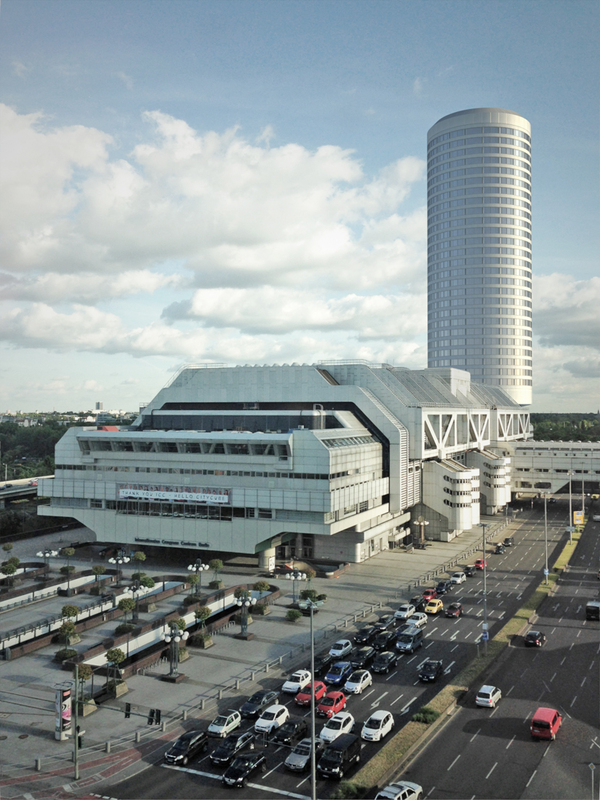 In 1979, the congress center, designed by architect-duo Ralf Schüler and Ursulina Schüler-Witte, was opened. To date, the building has hosted a total of 8,786 congresses and events with around 11 million visitors. At the time, the building caused a sensation – especially with its new futuristic architecture made of concrete, steel and aluminum. The design by Jan Kleihues preserves the building ensemble while extending it with a 106 meter high hotel tower. 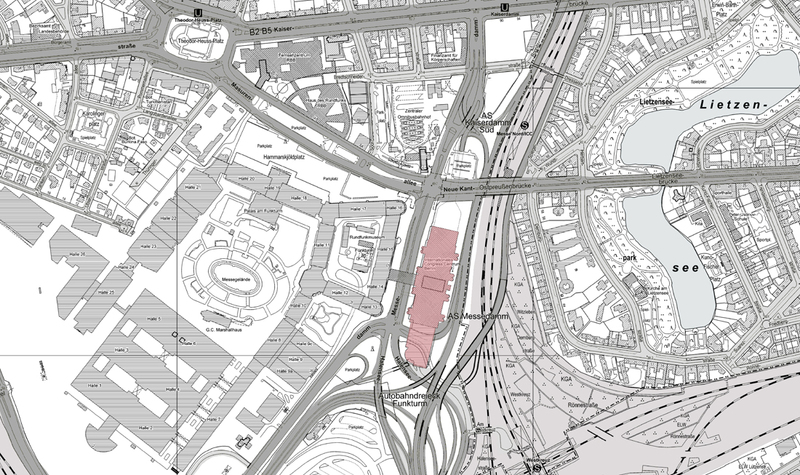 The proposal dignifies the ICC as a landmark of City West: any intervention to alter the inside or outside of the building would also simultaneously tear away the soul of the building. The circular tower thus grows out of the existing underground garage ramp at the end of the building and the ventilation shaft of the ICC is used as a “supporting element”. Design and materiality are based on the existing building: the tower is clad in a silvery aluminum facade. The round shape of the new building is also an echo of the exterior, almost floating, staircases of the ICC. The construction of the hotel tower, however, is done with attention to detail. A uniform and fine grained structural grid gives it a subtle countenance and underlines the perception of the ensemble as a landmark of City West. Even from afar, the tower with a total height of 137 meters can be seen as a landmark. Access to the hotel occurs via the roof garden, which is connected to the events areas of the ICC and the car park by lifts. The roof garden is ideal for events or as a breakfast area: food and festivities alongside a view of the hustle and bustle of City West. 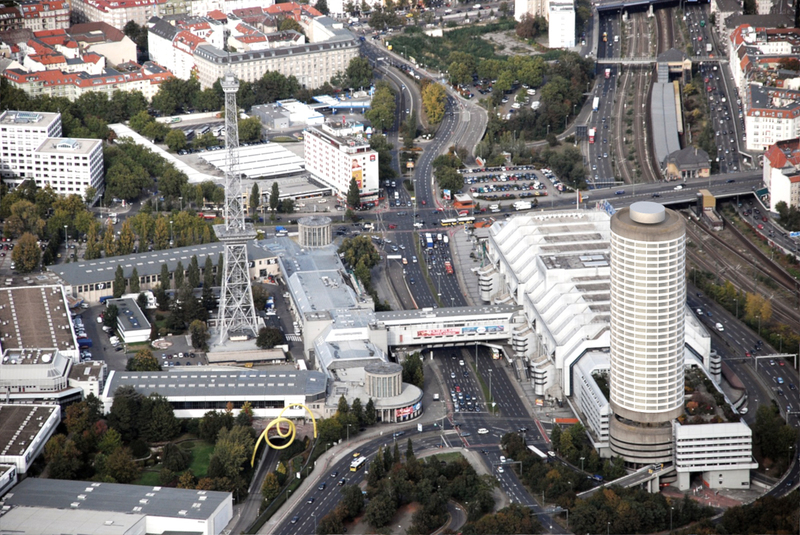 In total the 32,000 m² gross floor area covers 29 floors and accomodates almost 520 hotel rooms.